Home Kids Bags & Backpacks Archive by category "Cupcake Kids Bags"
You’ll have the yummiest bag in town with the Pinkalicious Cupcake Backpack! Designed in the shape of everyone’s favorite sweet treat, it features plush ‘icing’ that’s decorated with shimmery sequins and a metallic red cherry, while satiny accents offer the finishing touches. A zip compartment stores some of your smaller accessories, and the padded straps are adjustable for comfy carrying. 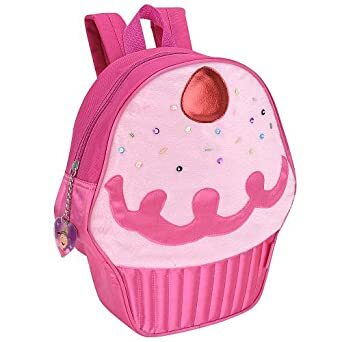 Pinkalicious 12.5 inch Cupcake BackpackBuy It! Heading off to school has never been sweeter! This adorable kids pack is decked out with pockets, a blue theme & covered in bright cheery cupcakes. 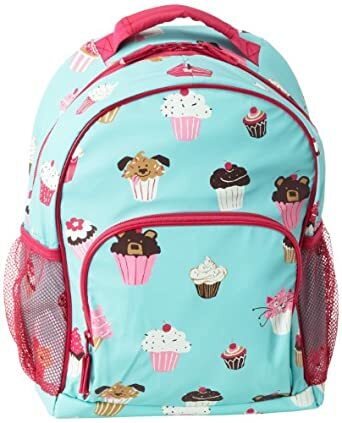 Hatley Girls 2-6x Cupcakes Back PackBuy It!